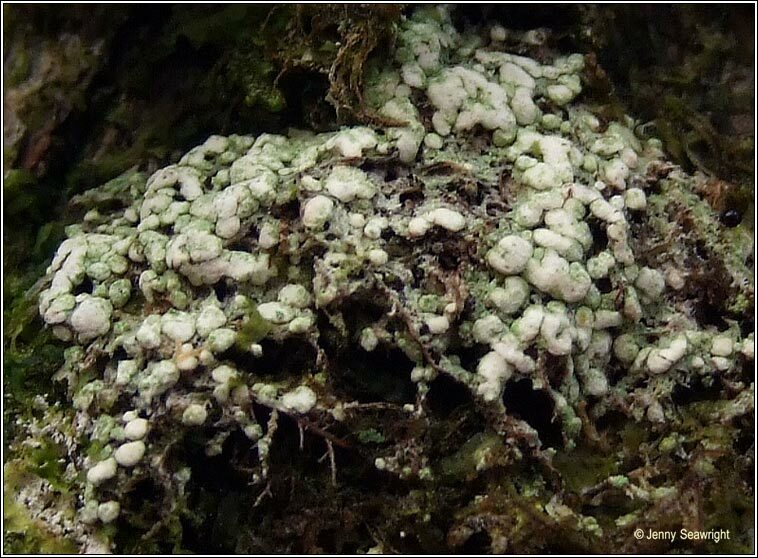 Soft, powdery-granular yellowish or pale grey-green thallus. Prothallus blue-black or absent. 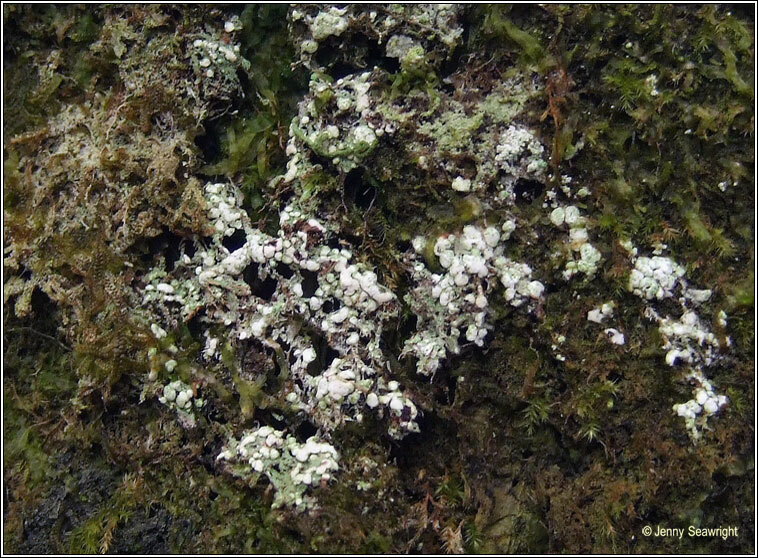 Granules disintergrate to form irregular clusters of blue-grey or yellowish-grey soralia, +/- covering thallus. Apothecia very rare, discs chestnut-brown with persistent, thin margins. Thallus K+ pale yellow, C-, KC+ yellow, P-, UV-. 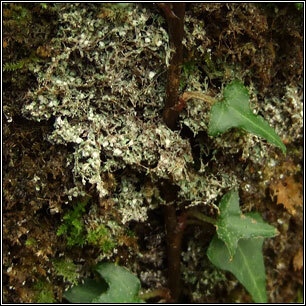 Found on well-lit, broad-leaved trees (especially Oak, Ash, Beech) in sheltered, humid, long-established woodlands.